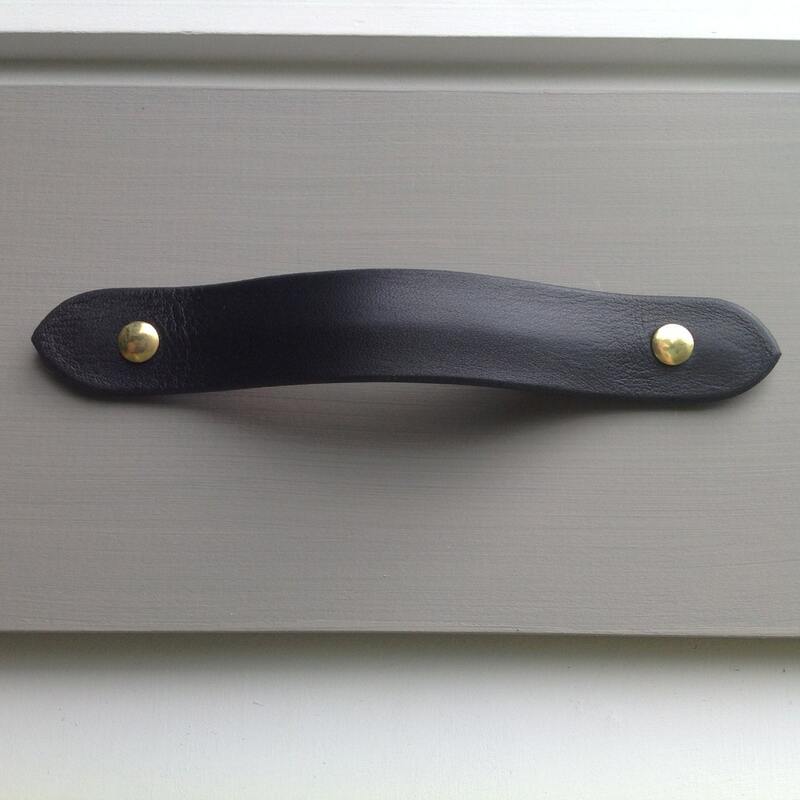 Black, Leather drawer pull for furniture, cabinets, cases, boxes, etc. 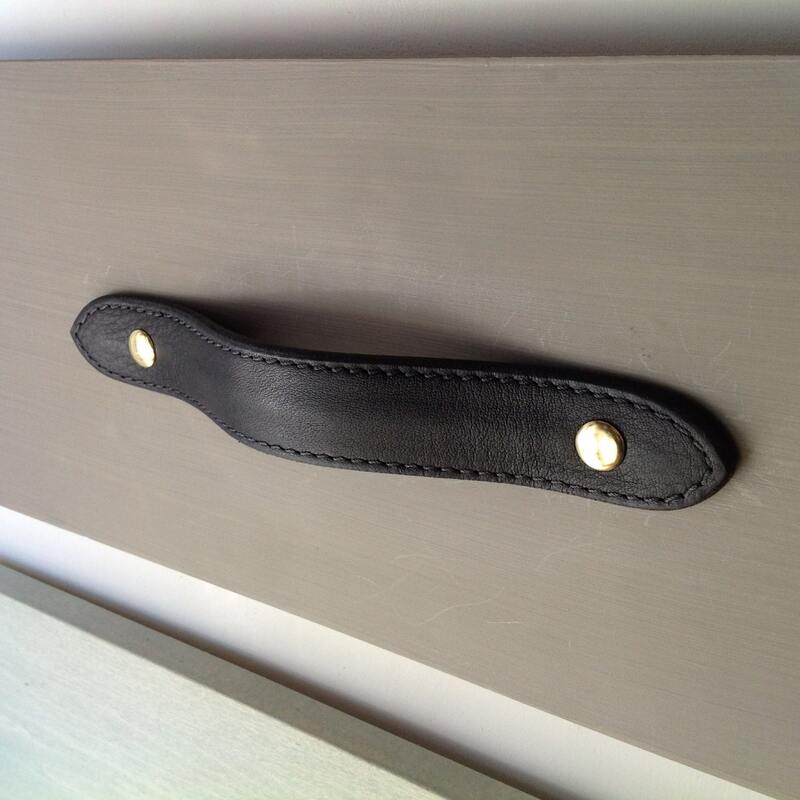 Hand crafted from salvaged leather remnants. 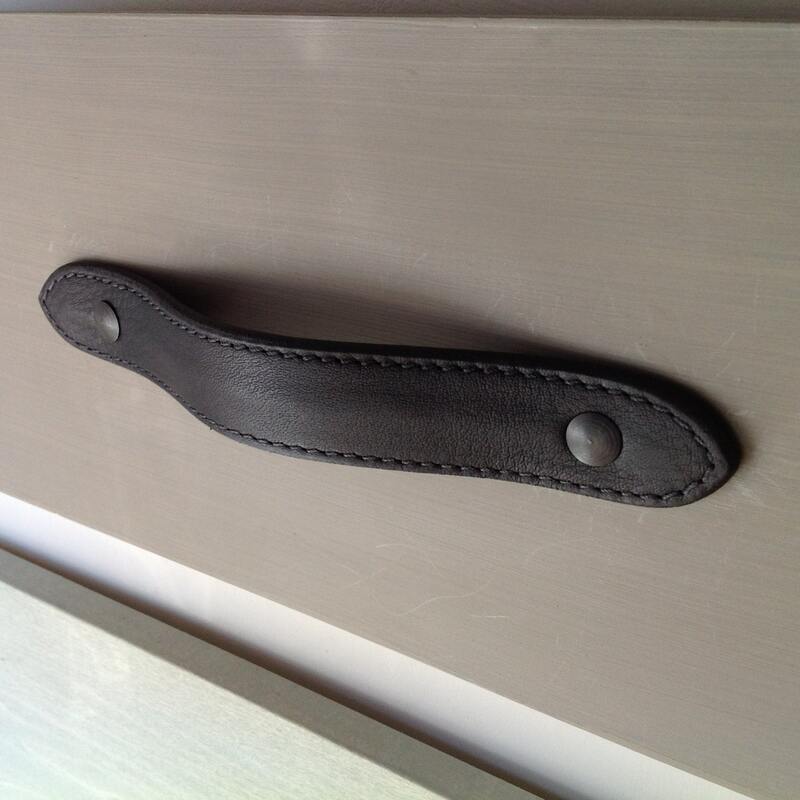 This drawer pull is made up of two pieces of leather that are glued together, using eco friendly adhesive. This version comes as plain with no top stitching or with the border stitch. The border stitch comes as black but you can request white, wheat or silver for contrast. 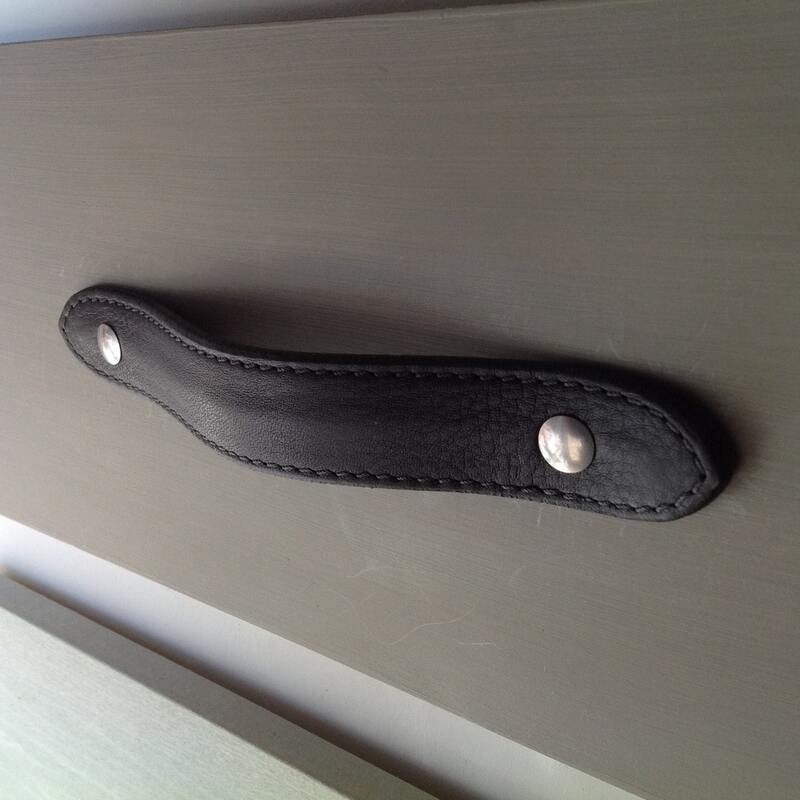 The top leather is soft and attached to a hard piece of leather to give the pull a strong rigid structure. 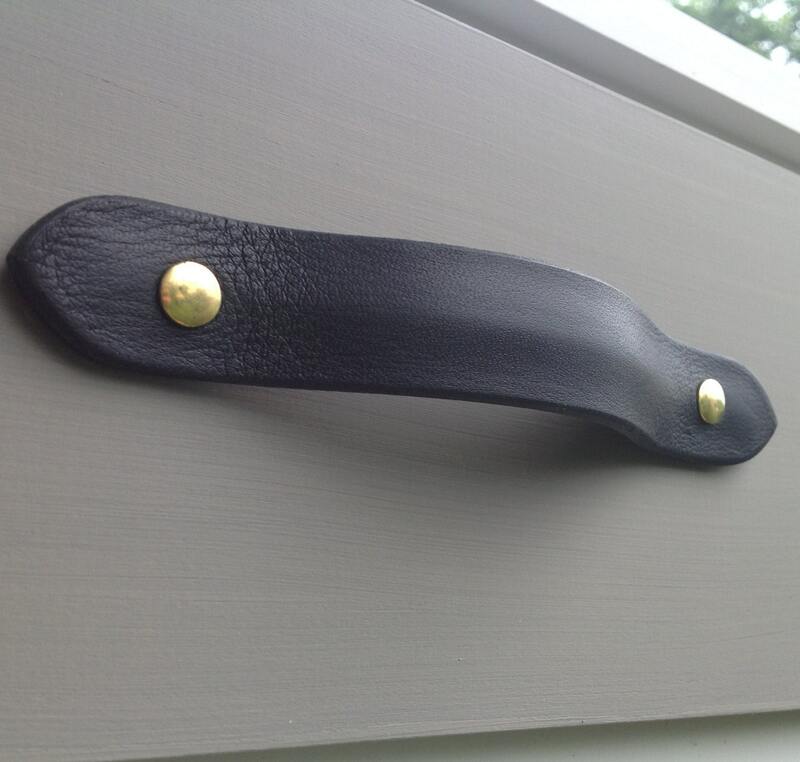 We were sent an excellent information package for our rather large order - The pieces are beautiful quality and design - Don't go to a mass store like Rejuvination for leather pulls - this will be a better & more customizable experience.